The 61st Scouts are the local group for Wincobank and the surrounding areas. We provide activities and challenges for children and young adults between the ages of 6 to 14. Evenings are planned according to a balanced programme that is fun and exciting for our members but also allows them to work towards awards that can be worn as part of their uniforms. 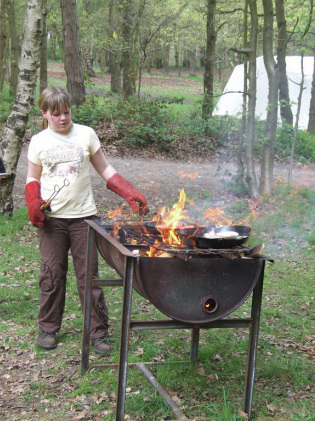 These activities can include survival and camping skills, cooking, fire lighting, arts, crafts, outdoor games and activities. The older groups may also go on camps and trips which include such activities as rock climbing, kayaking, wind surfing and sailing. They can also be involved in district competitions for sports, hiking and cooking; with more starting each year. All sections meet at the 61st Scout Headquarters which is at 61 Standon Road, Wincobank, Sheffield, S9 1PE. Beavers (6 to 8 years old) meet on a Tuesday night from 6:00 to 7:15. Scouts (10 to 14 years old) meet on Friday night from 7:00 to 9:30.